My Messages Log started to fill up with these and of course I couldn't see the structure of the tables like I wanted to. Turns out fixing this problem is easy. Open up the SQL Developer Preferences, then navigate to Database > Object Viewer. 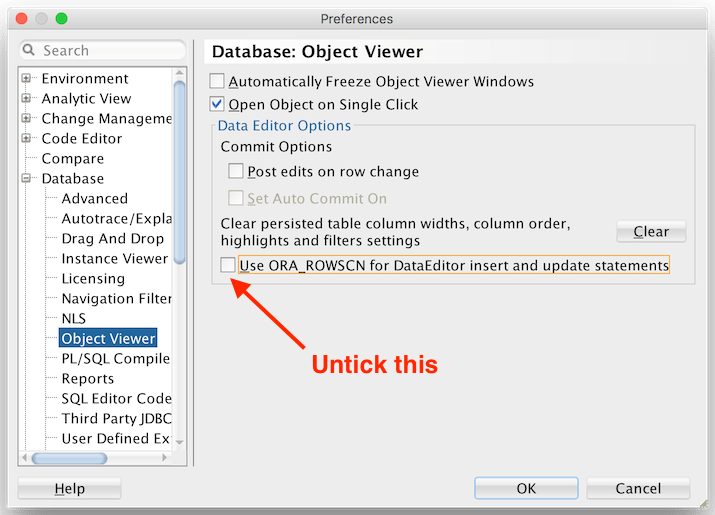 Untick the box that says Use ORA_ROWSCN for DataEditor insert and update statements. That's it! After this change SQL Developer should work as expected.